I first came across Yoshitoki Ōima’s “A Silent Voice” at a Korean bookstore in 2014. I had been living and working in a rural coastal area in Korea for about four years at that point and had stumbled upon a small bookstore. English-translated manga is not easy to come by there, but the premise of the story was intriguing enough for me to make the effort to read the manga in a language I was not fluent at, and much to my satisfaction, the manga upheld its initial impression of being a powerful story dealing with real-world issues such as suicide, perceptions of disabled people, and bullying. It also touched on themes such as friendship, forgiveness and acceptance. One of the things that had initially attracted me to this story as someone living and teaching in Korea was the fact that it was rare to see disabled or handicapped people in public, let alone in a regular school. I suspect part of the reason is because public spaces may not often be designed with handicapped or disabled people in mind. I also suspect that because Korea is still a largely homogenous and conformist society, many lack the proper empathy, experience, training or exposure to interact with them naturally. Considering modern Korean society’s obsession over attaining physical perfection, it may not come as a surprise that disabled people tend to stay hidden from view. Seeing how Japan and Korea share similar societal values, I suspected that perhaps its attitude towards disabled people might be similar with Korea’s. Putting all these things together along with my perspective as a teacher, I was naturally interested in seeing how this story would play out with its female protagonist as a deaf student, even though it is a Japanese story. I heard a movie was in the works back in 2014, and although it was eventually released worldwide in 2017, I was enthused to see that it was getting a limited re-release in the U.S. on Jan. 28 (subtitled) and 31 (dubbed). 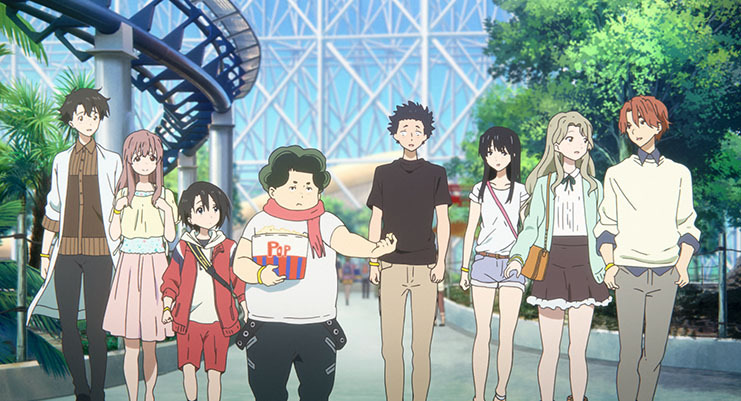 If you missed “A Silent Voice” during its initial release, take this opportunity to catch this wonderfully moving and engaging coming-of-age story of friendship and redemption. If anything, this movie will have you questioning whether you’re being completely honest about yourself in your relationships and if your own expressive voice has become silent and lost inside your head. It will also make you want to reach out to those you care about and to cherish the dear connections you already have in your life. This movie makes it clear that suffering while pretending to be happy is not okay and can end up hurting the people we care about the most in the process. Shōya Ishida is a newly-minted high school student resolutely determined to end his own life. To prepare, he sold his belongings, quit his part-time jobs, closed his bank account, left all of his earnings to his single mother, stopped answering his phone and ripped out the pages from his calendar after his planned death. The only business left to take care of was the loose-end between him and Shoko Nishimiya, a girl he relentlessly bullied in the 6th grade. Shoko was a deaf transfer student who communicated with her peers through a notebook. Although her classmates were shocked about her disability, they made an effort to accept and include her. Everyone, that is, except Shōya, who immediately saw her as an intruder. Disgusted by everything about her, including her voice, he tormented her and made her a target of ridicule. Although his friends sometimes chided him for his cruelty, these remarks were always said with smirks, laughter and looks of amusement with nary an attempt to stop him. Through all the bullying, Shoko always responded with a smile and an apology, shrouding everyone with a sense of guilt. Instead of becoming angry, she always reiterated her request to be friends, particularly with her tormentor, Shōya. Spoiling the fun, her sanguine reactions frustrated him further, causing him to torment her more. She eventually transfers to another school. The tables turn when his teacher singles him out one day to take responsibility for the bullying. His closest friends confirm his wrongdoings despite having been his accomplices. When Shōya retaliates and accuses them of their involvement, his friends turn on him and his classmates bully him in return. Ostracized, betrayed and condemned by his peers since the 6th grade, he enters high school four years later with no friends. Feeling remorseful about his past deeds and believing it was his punishment to be unhappy, he bumps into Shoko at a sign language institute he had been attending. Although he had wanted to meet her again as a formality before he committed suicide, he relinquishes his resolve to die at the prospect of possibly becoming friends with her and making up for his past deeds. As they get reacquainted with each other, they gradually broaden their social circle with new and old friends, but as with all relationships, things start to get complicated as old wounds and grudges emerge. As both Shoko and Shōya struggle with their inner demons, it is up to them as the two people who surprisingly understand each other best, to help each other see beyond what they dislike about themselves and to keep moving forward with their lives. As they struggle to accept themselves and learn from each other, they understand how to trust their friends and to share their feelings and experiences with them. Don’t be surprised if you find yourself shedding some heartwarming tears as you follow Shōya’s and Shoko’s journey of acceptance. 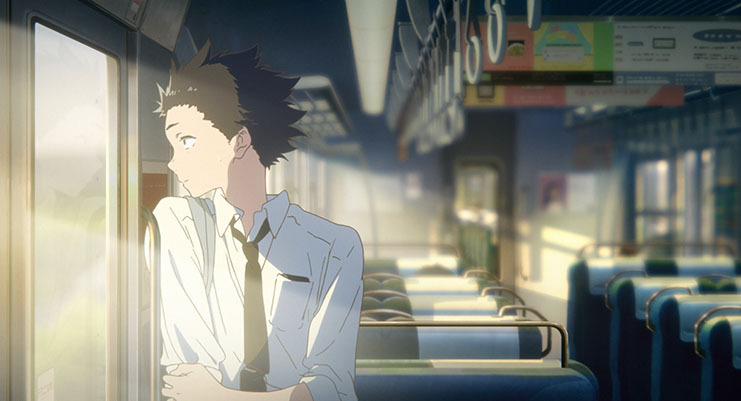 For tickets and showtimes, visit https://www.fathomevents.com/events/a-silent-voice.